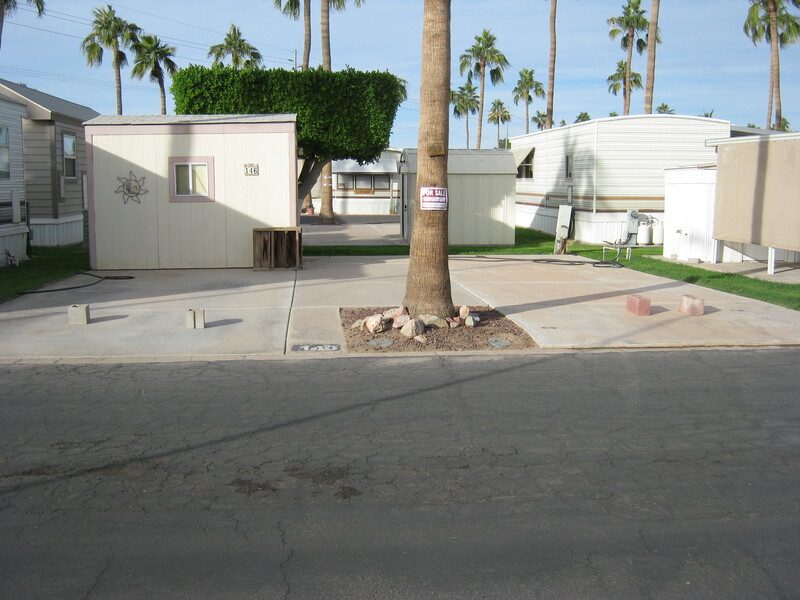 RV space for rent in no pet 55+ Wintergardens Senior Park, 2700 W 8th St Yuma, AZ. The park shows the pride of ownership with well kept units and grassed areas-the park has no gravel. There are 180 units and amenities like pool, clubhouse, laundry and daily activities. A Walmart Neighborhood store is across the street, with Fry’s, Albertson’s and Food City close by. The Park is walled with a security gate. 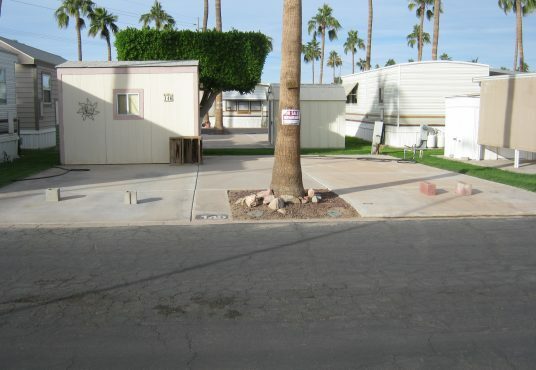 The space for a 34ft or shorter RV. It has a 10X11′ shed with fridge, laundry sink and toilet. Patio furniture and barbecue are included. The space faces south and has no neighbors across the street. Rent is $350USD per month for four months or more; or, $400USD per month for less than four months.